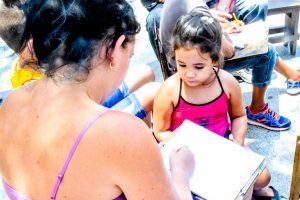 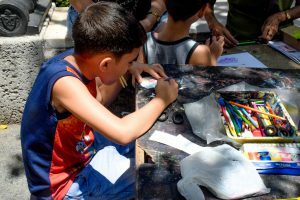 Yomer is an artist at the Jose Marti community art studio near Parque Central. 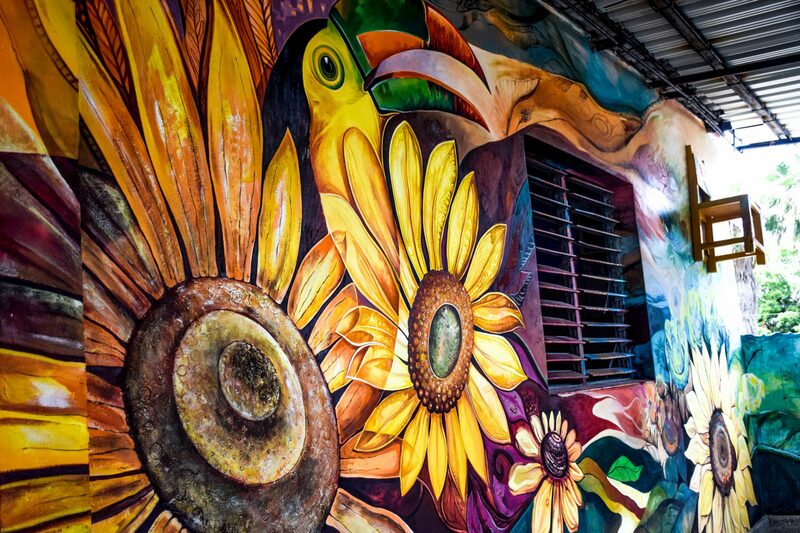 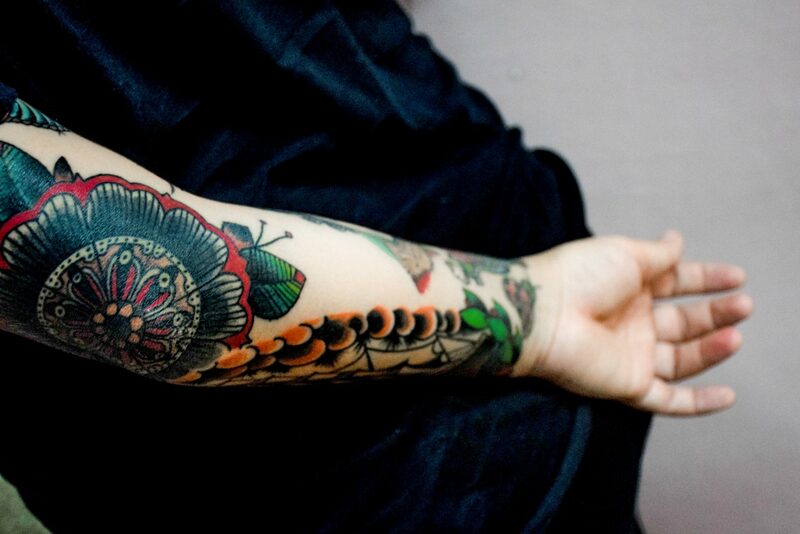 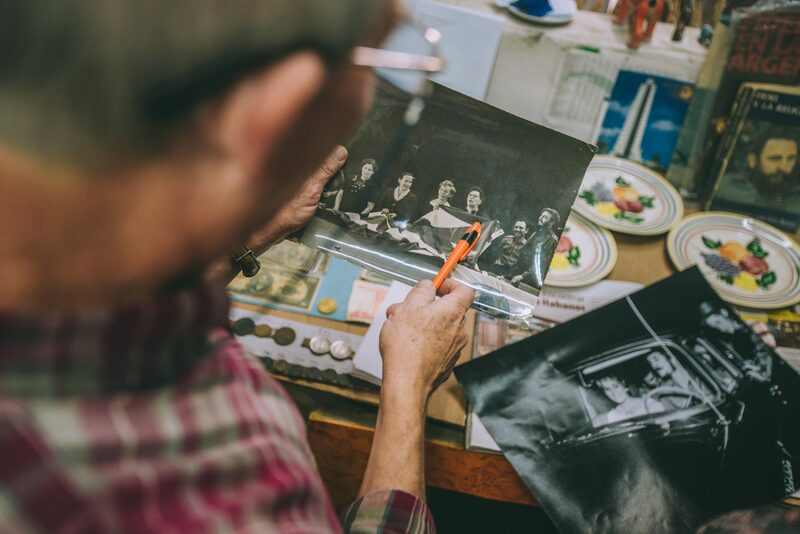 The studio is a space that is shared by a group of friends who each have their own distinctive art pieces and styles. 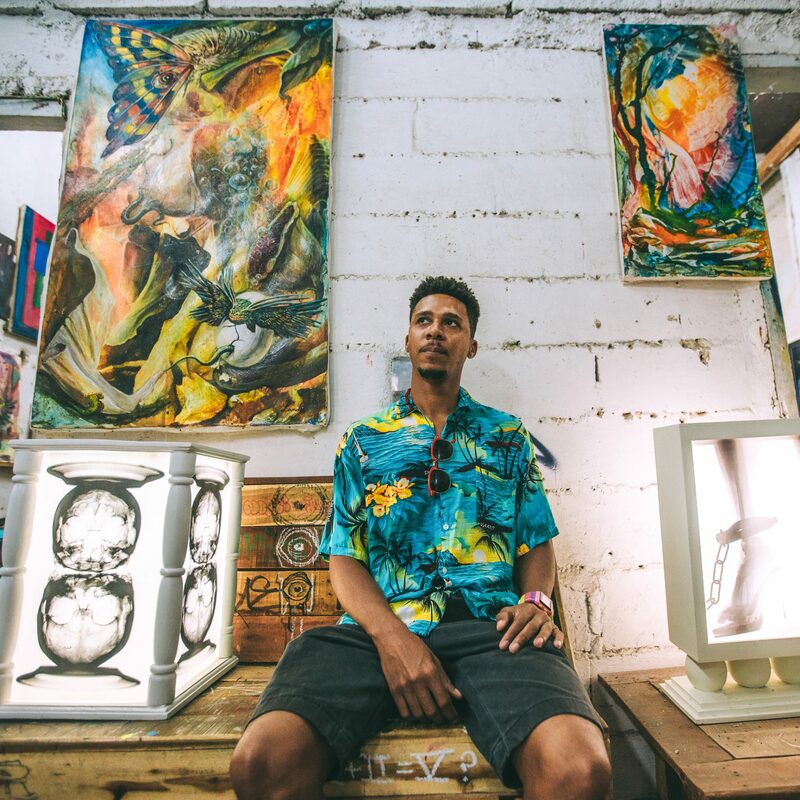 Yomer studied health technology before solely focusing on art and this inspired his x-ray art pieces. He also has pieces that depict themes of immigration, Afro Cuban history, and Cuban relations with the United States in the 1990s. 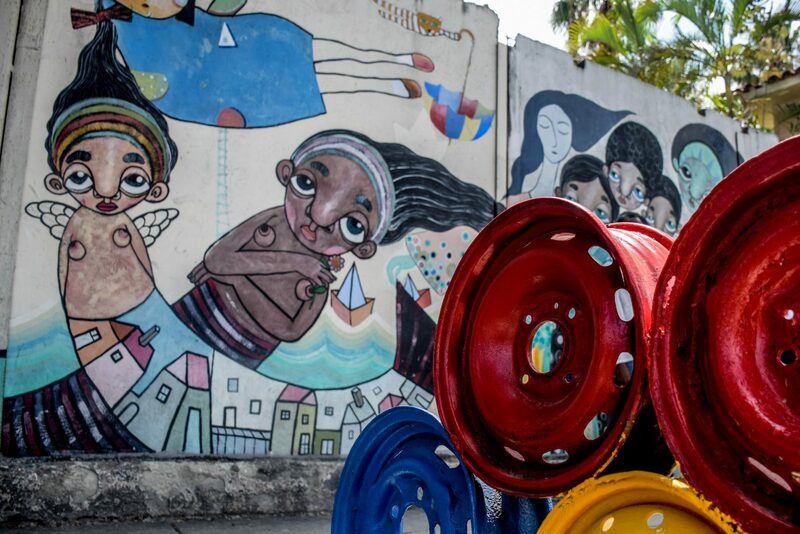 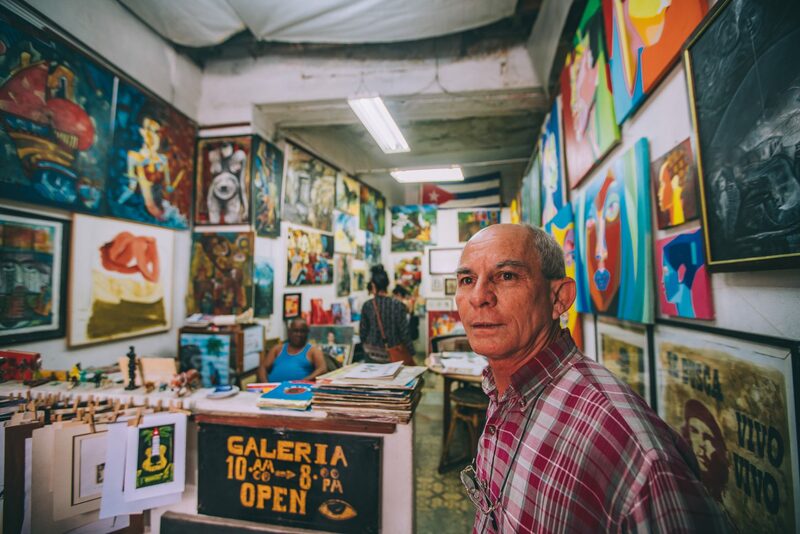 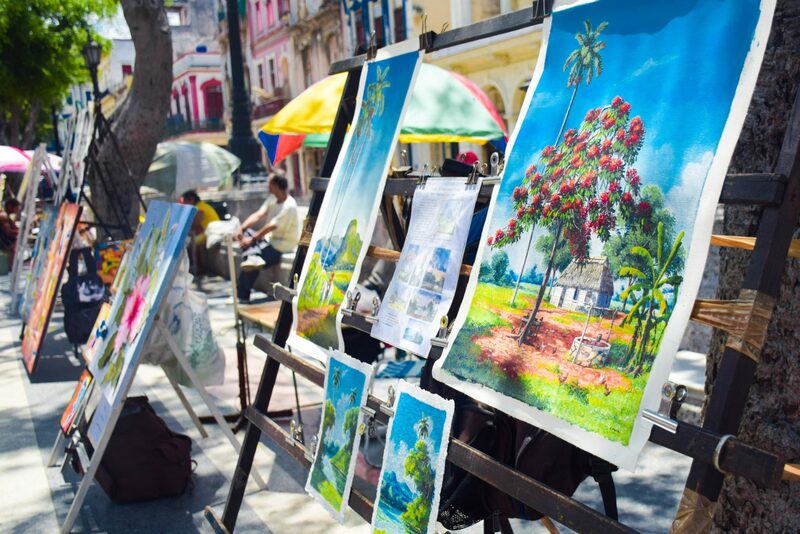 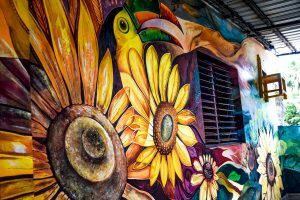 One can find Yunier painting on a giant canvas in his hole in the wall space that is located in Habana Vieja. 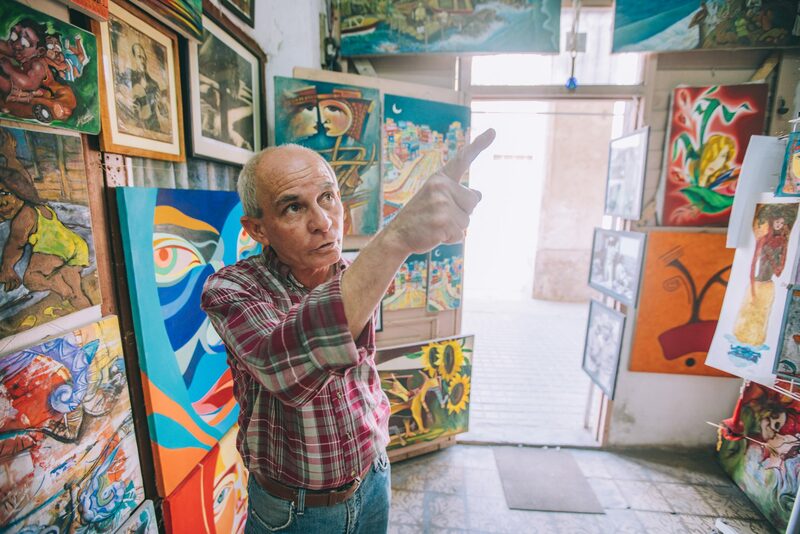 The phrase “It looks like wood but it is not wood it is canvas” hangs outside of his building and is written on his business cards as well. 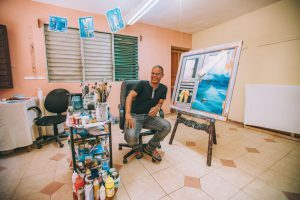 Yunier is very welcoming and will invite you in to watch him paint with a large smile on his face. 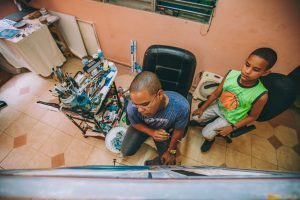 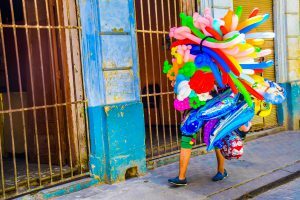 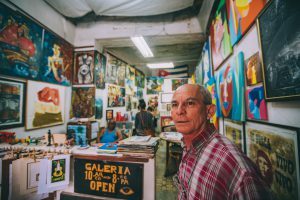 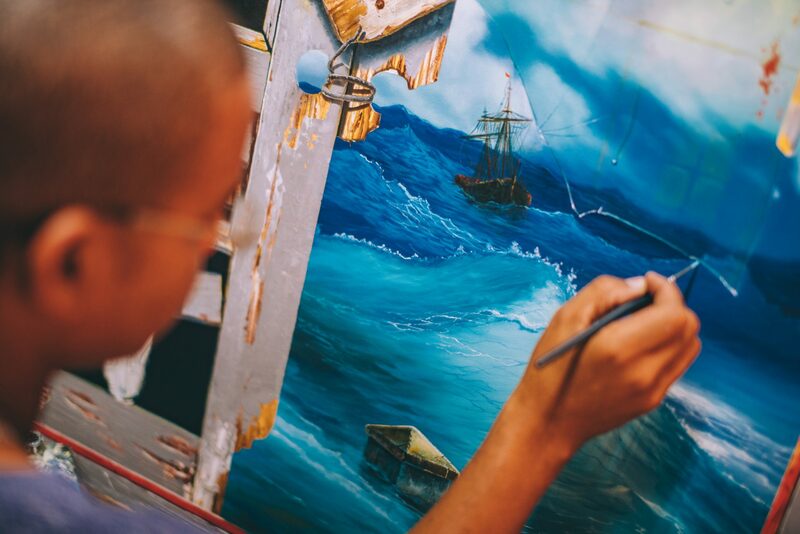 He can occasionally be found working alongside his young son, who takes inspiration from his dad while painting the famous malecón (seawall that extends along the coast of Havana). 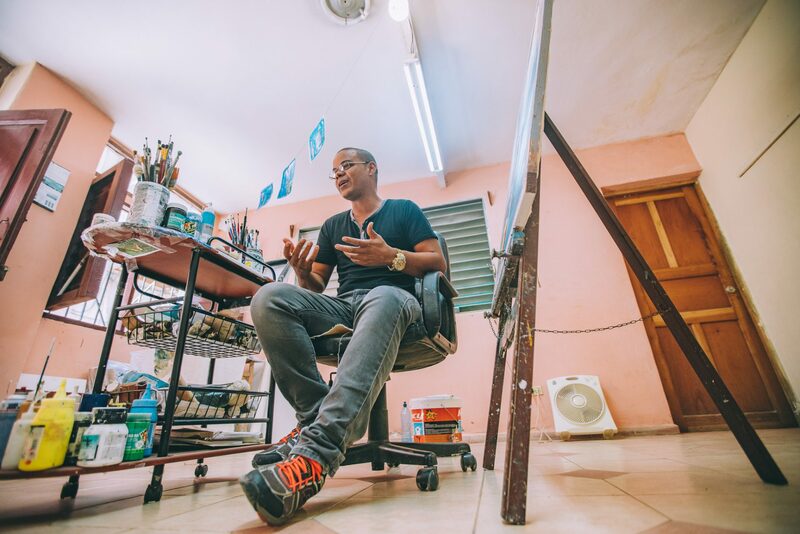 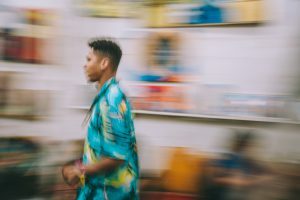 Yunier has been able to sell many of his paintings through PayPal and hopes to do more business with people from the United States in the future. 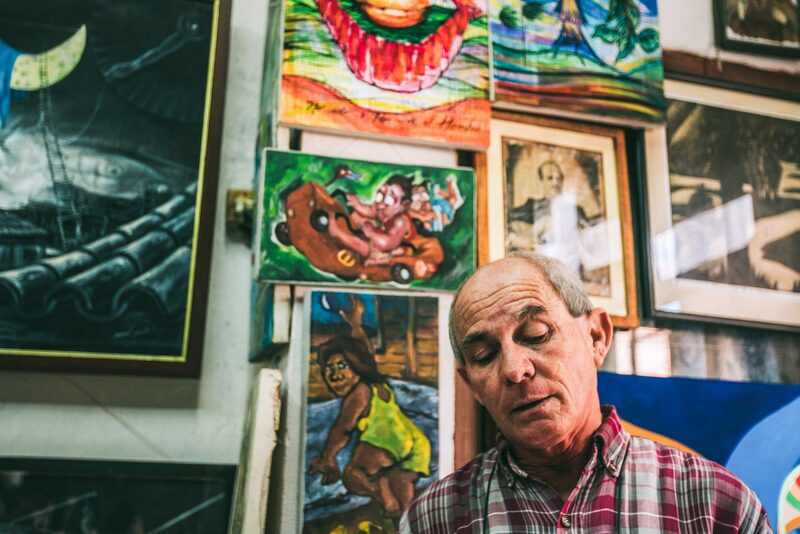 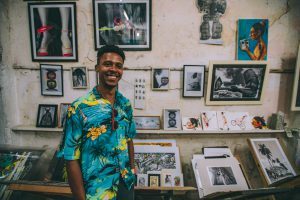 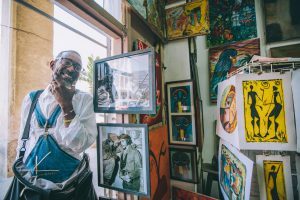 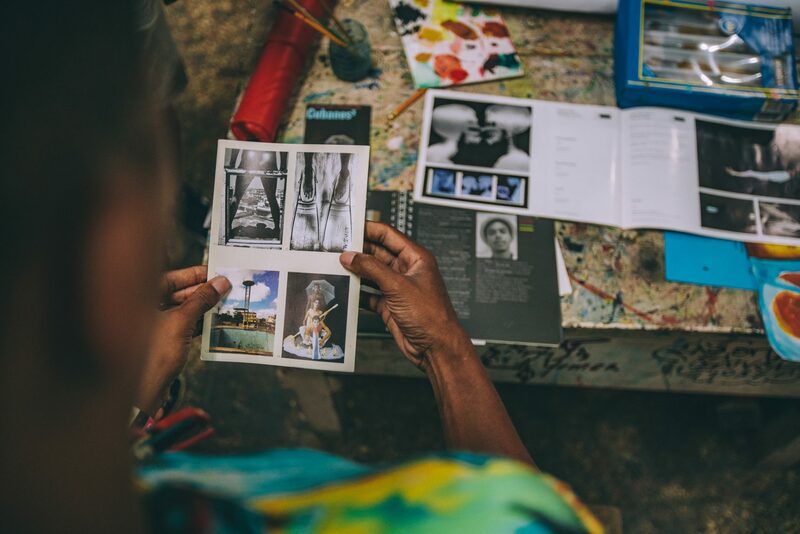 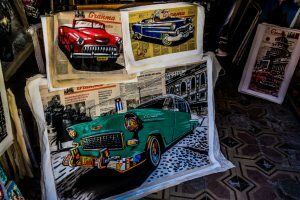 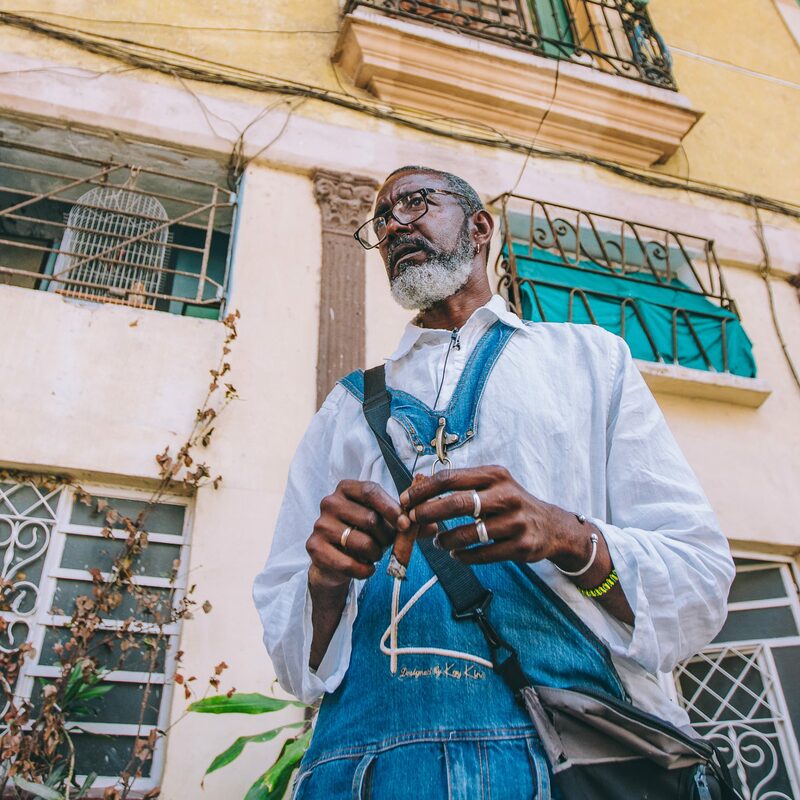 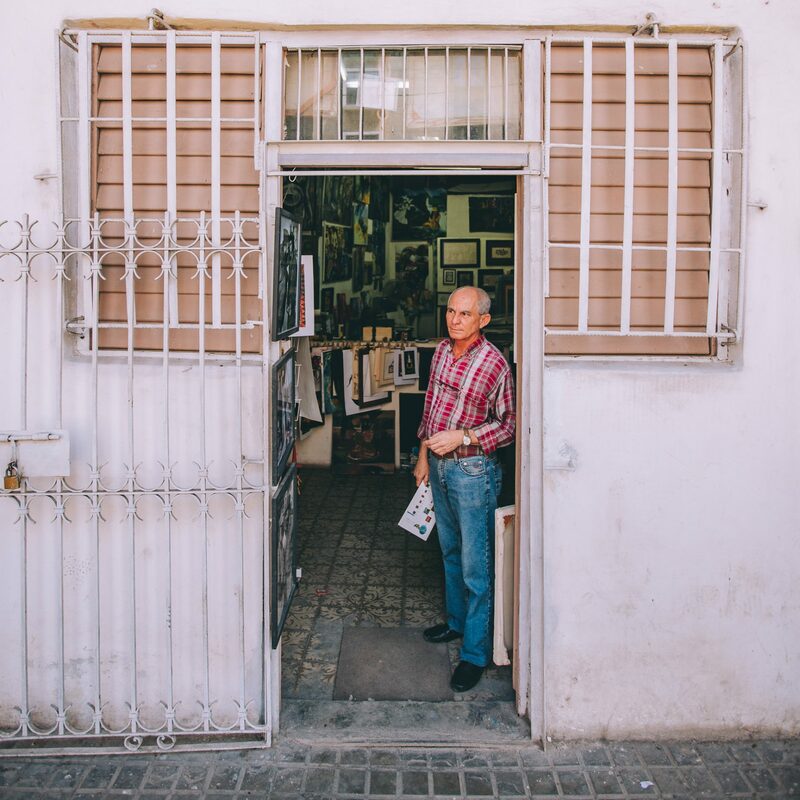 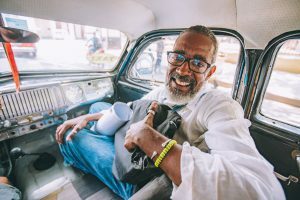 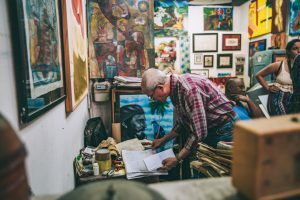 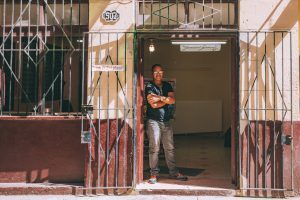 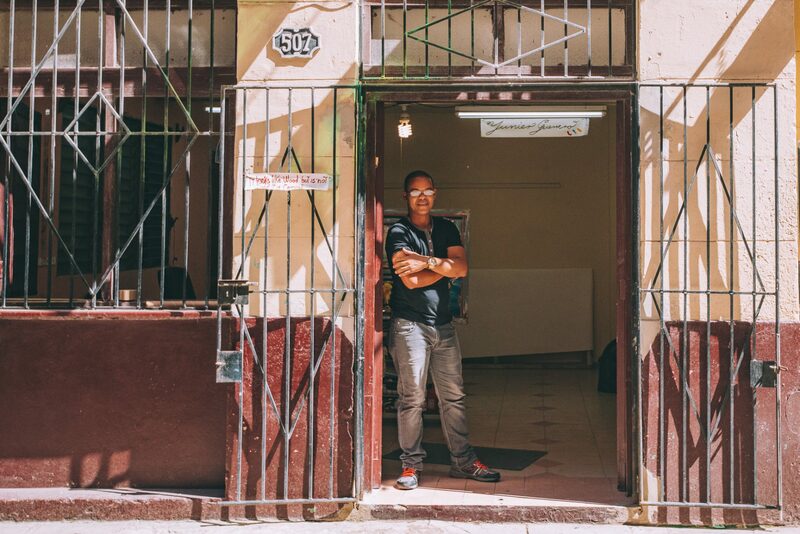 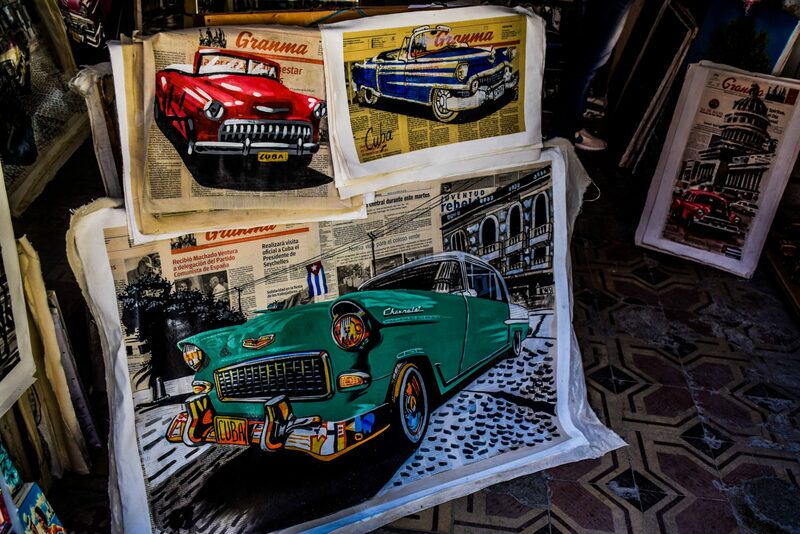 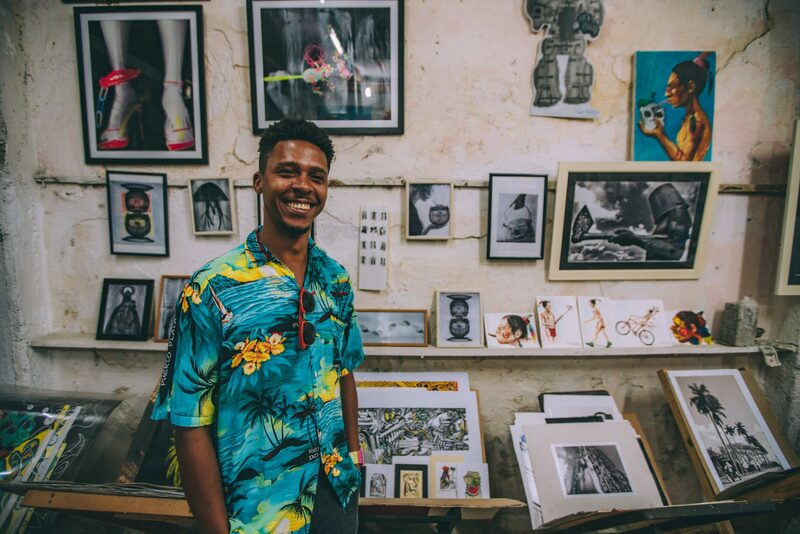 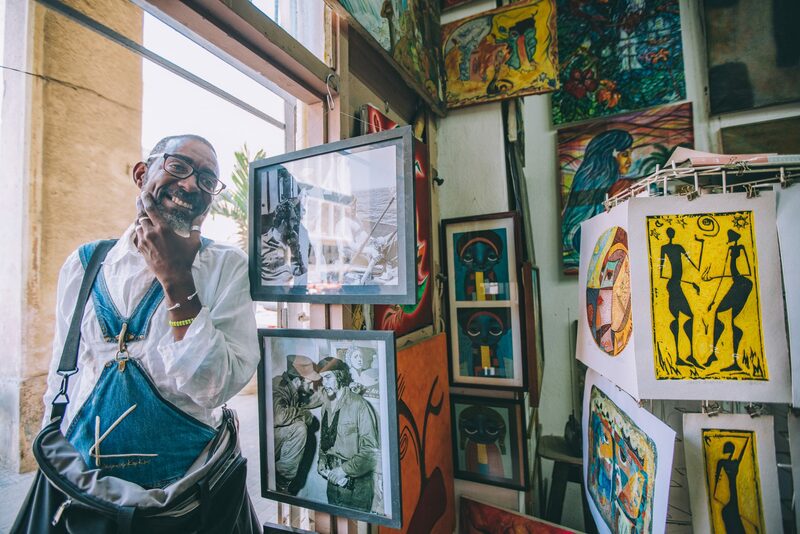 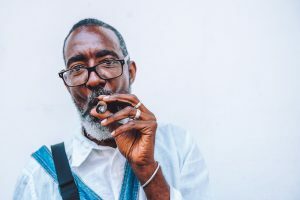 According to art dealer Silvio, Victor stands out in Havana as a 6’5 man who walks through the streets with a cigar hanging out of his mouth and a few of his paintings in tow. 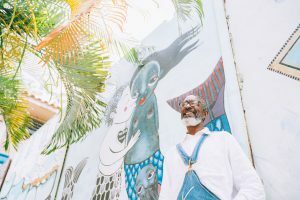 Victor is a contributing muralist to Proyecto Muraleando, a collaborative space where artists paint over abandoned walls as an act of community service. 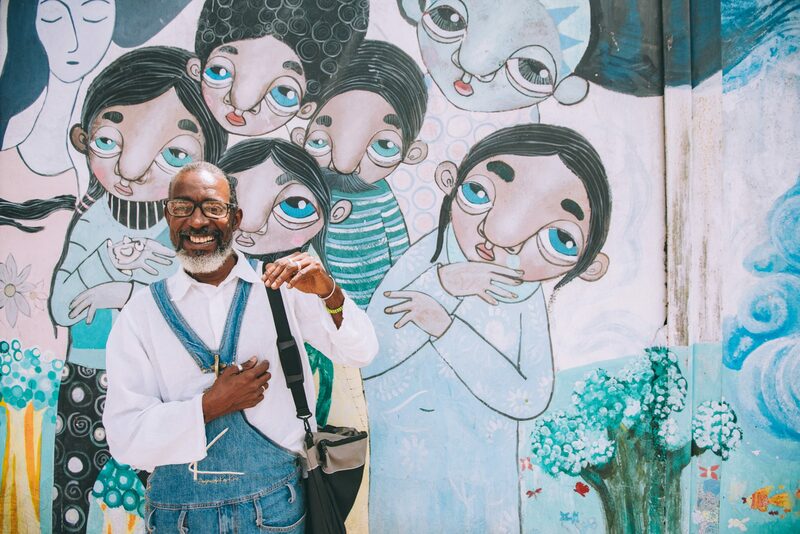 Victor is a popular guy at Muraleando, where he is close friends with other artists, construction workers, and elementary school teachers who volunteer their time there. 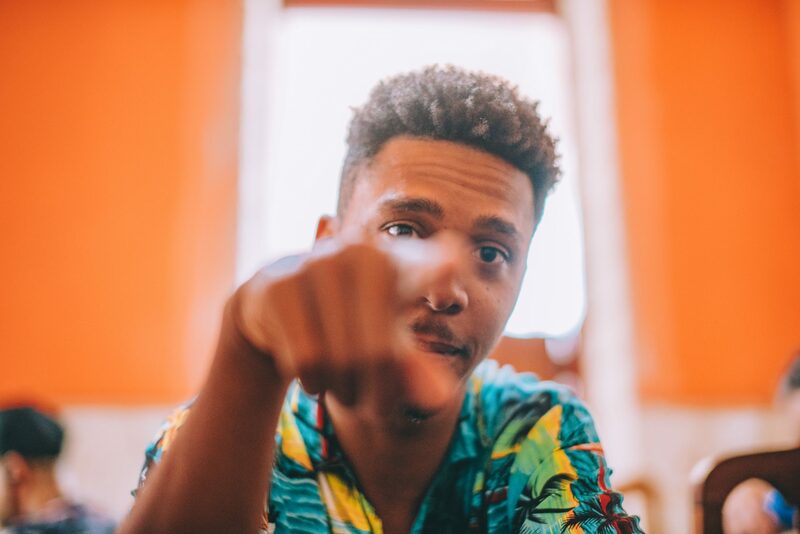 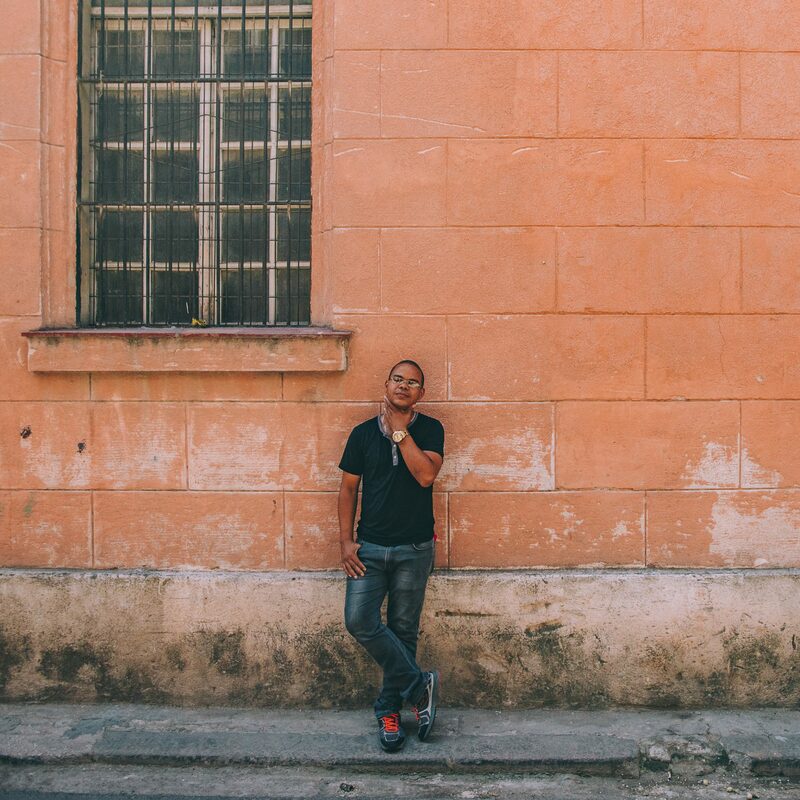 Hiram has been producing music since he was thirteen years old. 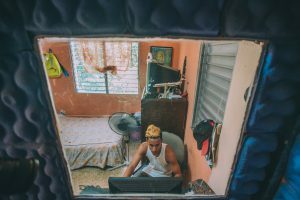 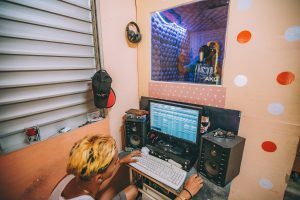 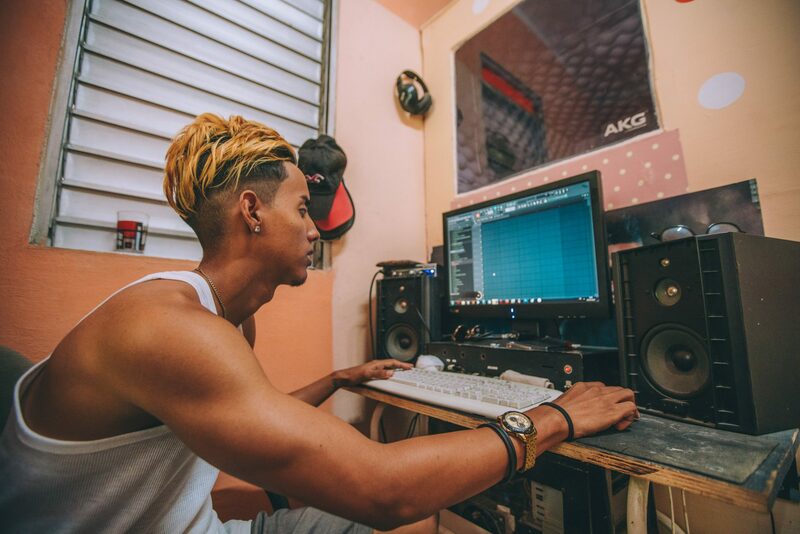 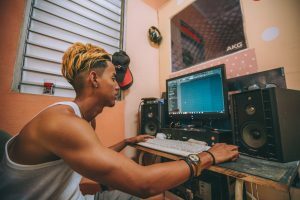 He gathers in his bedroom with his other friends from Alta Habana, where they record songs in their makeshift recording studio. 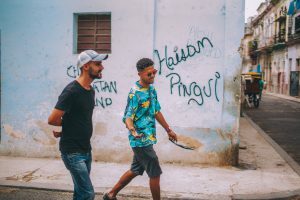 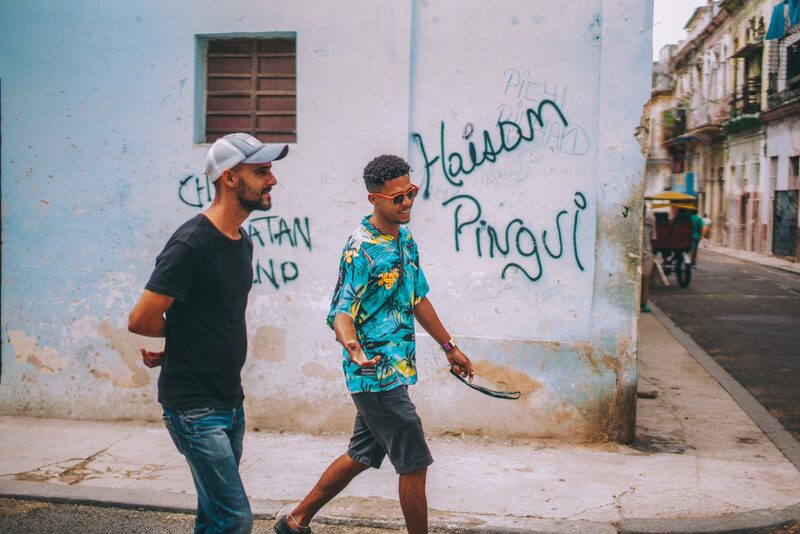 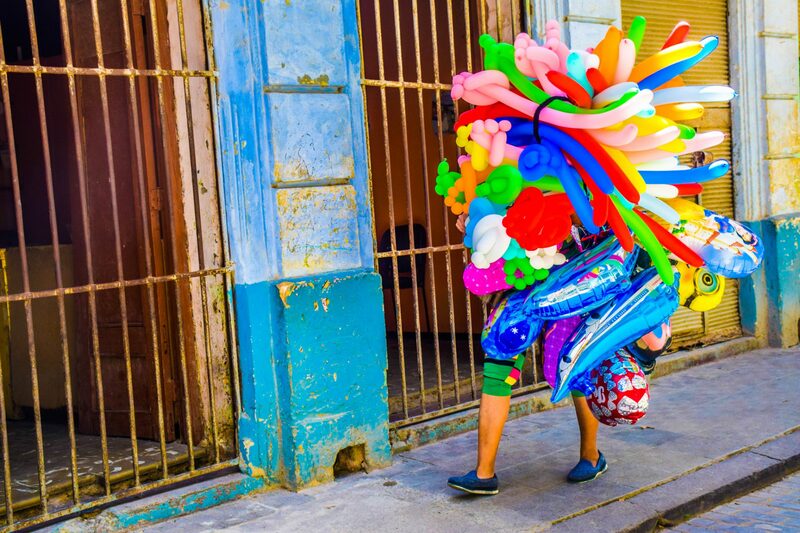 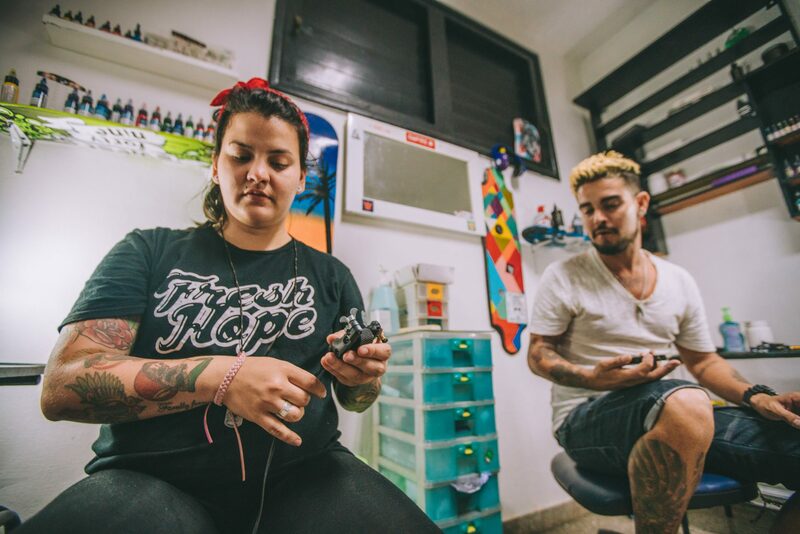 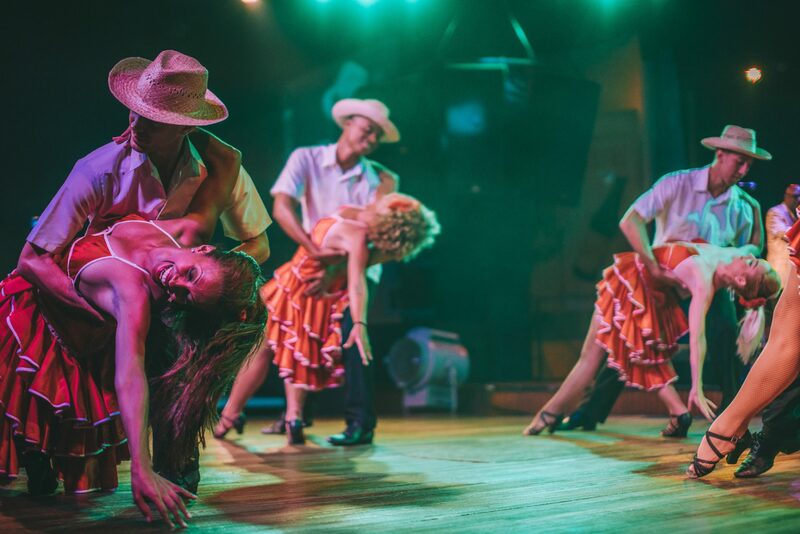 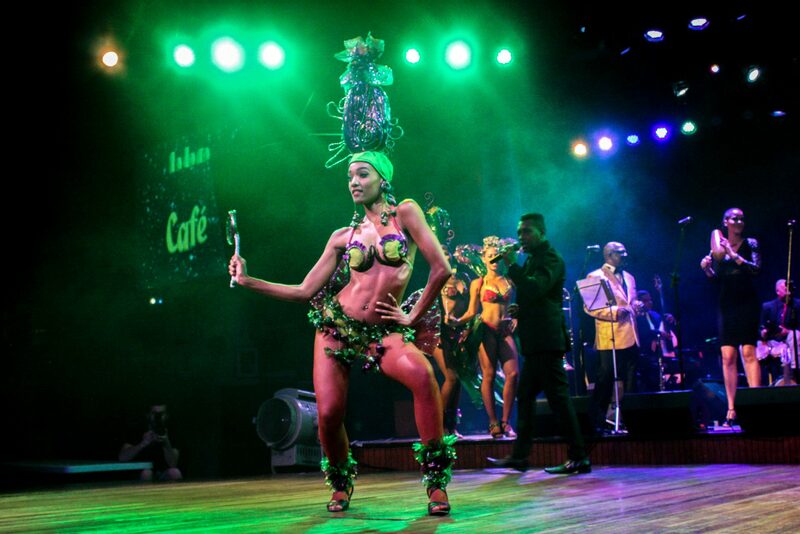 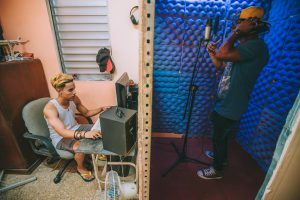 Hiram and Yanikel emphasize how they feel a bit disconnected from other artists since their neighborhood is located outside of central Havana. 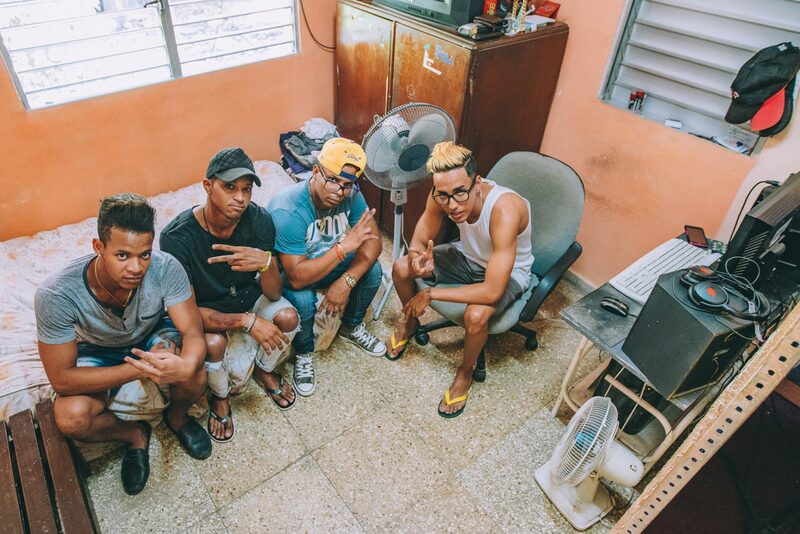 They have trouble uploading their music to social media due to a lack of easy access to wifi. They call their team “Halloween Records” which they describe to be one big family. 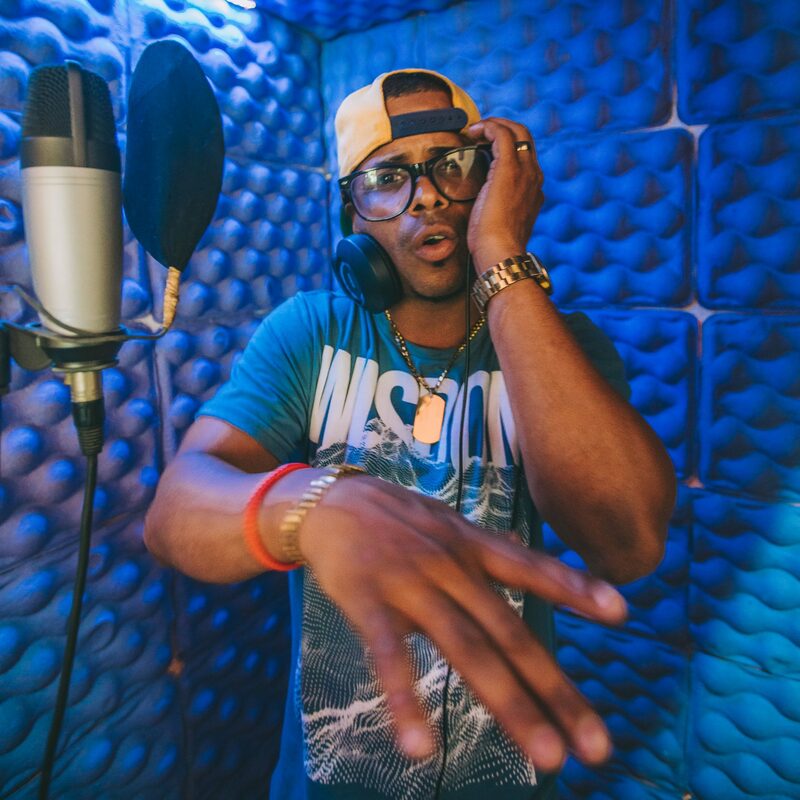 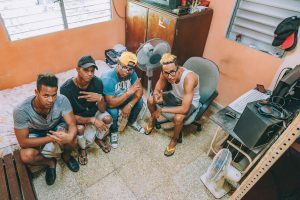 Their musical inspiration is Chris Brown, and they hope to book bigger gigs in order to share their talent and spread Cuban rap.